Join us after the films for an audience Q&A with Unboxed special guests. 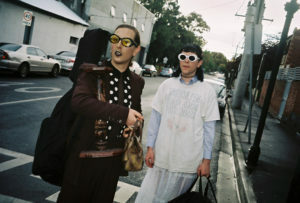 In this vital and uplifting documentary series, trans filmmaker Sam Matthews travels around Australia to meet with six other gender diverse artists, drawing together a cross section of different artistic disciplines. Each artist shares their personal and professional stories and is challenged to create an artwork around the theme ‘Unboxed’. The subjects explore how gender identity informs their practice, and speaks to the importance of artistic expression in their lives. Unboxed screens with a collection of local and international short documentaries, made by and/or about trans and gender diverse people and communities, exploring themes of history, community, activism, and the power of artistic expression. An evocative documentary focusing on local trans rock and roll rebel and activist Callan, whose uninhibited performances and magnetic personality make her a force to be reckoned with. In the Indigenous communities around the town of Juchitán, Mexico the world is not divided simply into male and female. The local Zapotec people have a third category, which they call “muxes”. Melding documentary and music video bravura, Muxes is a powerful statement about the cultural specificity of gender. Happy Birthday Marsha! 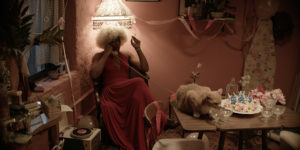 is the much-anticipated film from Reina Gossett & Sasha Wortzel that tells the story of extraordinary transgender rights activists, pioneers, and friends, Marsha P. Johnson and Sylvia Rivera, in the hours before the Stonewall riots. The film is a beautifully styled mix of drama, and documentary interview footage, with Marsha herself, as well as starring Independent Spirit Award winner Mya Taylor (Tangerine).